Marketing will win the race – it is becoming a powerful and resource-rich function of business. In today’s digital world, marketing is the function responsible for creating and sustaining a long-lasting relationship with the most important asset of any business – the customer. 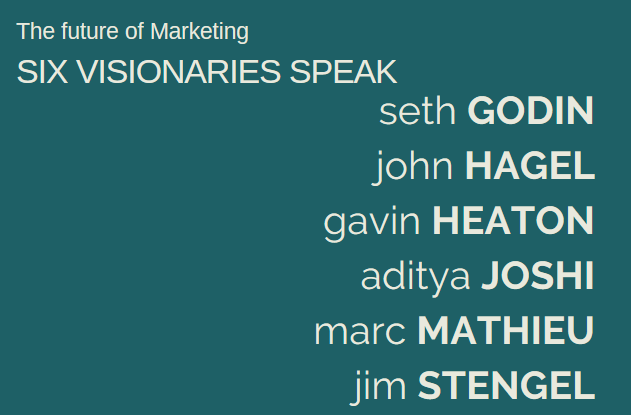 These are some of the introductory words to the white paper on “The Future of Marketing: Six Visionaries Speak” which was produced by Marketo (marketo.com) in conjunction with The Economist Intelligence Unit. As we all suffer from information overload, this is a good shortcut to some wisdom. It came to me via an invitation from Marketo to check out a new white paper. There’s a comprehensive summary on “How Marketers will Win” before getting to the interviews conducted with Seth Godin, John Hagel, Gavin Heaton and rest of the panel. Put aside some time to read it, as it spans about 50 pages, but I am sure you will find something that intrigues you, challenges you or provides a different perspective. POPI Act – red tape or real safety measures?